The Bloom by Bloom Bundle makes a big bold Statement and will be a bright spot in your “winter” stamping & crafting. 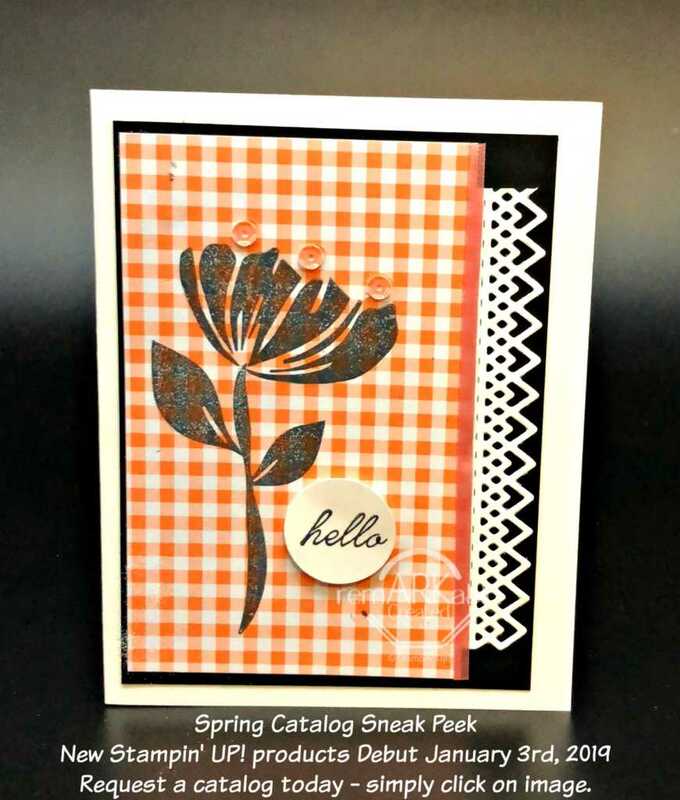 For this card I featured just the Bloom by Bloom stamp set. I always forget that big bold stamps look great stamped direct to designer paper. The paper here is a sneak peek of the Gingham Gala 6×6 paper pack! Two other sneak peeks include the self adhesive sequins and the calypso coral ribbon.